Over my +20 years of airline flying, I've come across a large variety of storm clouds, but the one below, over Northern Pakistan was one for the record books. It was relatively isolated which makes it easy to circumnavigate, but was extremely active. This mother of all thunderstorms was first spotted about 250NM (460km) away. 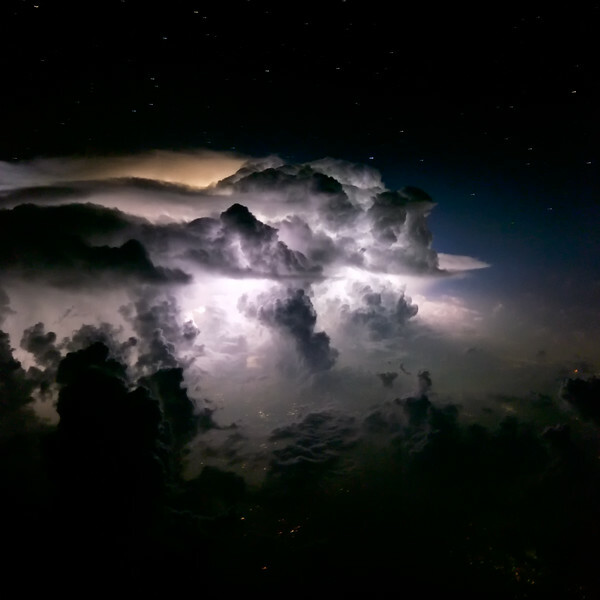 Extending to more than 50.000 feet, which is well above the maximum altitude airliners fly, it clearly showed the power of nature with lightning going on non-stop. Lighting up the dark moonless sky and the city of Peshawar in Northern Pakistan. A few more images of the same scene can be found here. Remember: "After the storm comes the calm"
Manhattan in downtown New York, probably still has the biggest collection of high-rise buildings in a limited area. Towers like the Burj Khalifa in Dubai, dwarf even the highest skyscrapers in New York, but it remains an impressive sight to see the Architectural marvels being tucked together so close to each other. The lowest and oldest (built in the thirties), "Top of the Rock" at the Rockefeller tower, is for me by far the best one to photograph the New York City skyline! While still high enough, it has several advantages over the other two; first it has a reasonable photography policy; i.e. only tripods and professional "video" cameras are not allowed. Unlike the One World and Empire State building which also do not allow "Professional cameras". Secondly, it has a nice open air deck with no real obstructions in most directions, unlike the new One World Tower deck which is all closed of behind glass. Lastly, while being on the Rockefeller tower, one can photograph two of the most important buildings in NYC; The One World and Empire State building! Guess, who got my 30,-USD last week? Yes, "Top of the Rock" - you rock! I recommend booking a ticket for "Top of the Rock" online as the best times often sell out on the day. Try booking minimum 1hr 15' before sunset, in order to get to your favourite spot before the big sunset rush moves in. I would not loose any time going to the lower floors. Once you come out of the elevator, (68th floor? ), take the escalator and steps and go straight to the open spot on the 70th floor. For optimal stability, I placed my Gorillapod on one of the many concrete stabs, which worked perfect. Especially with a lightweight mirrorless camera like the Fujifilm X-T1. Unfortunately the sunset wasn't the most dramatic one when I was there, but I still got a few interesting shots, including the one below, made about 15' after sunset. 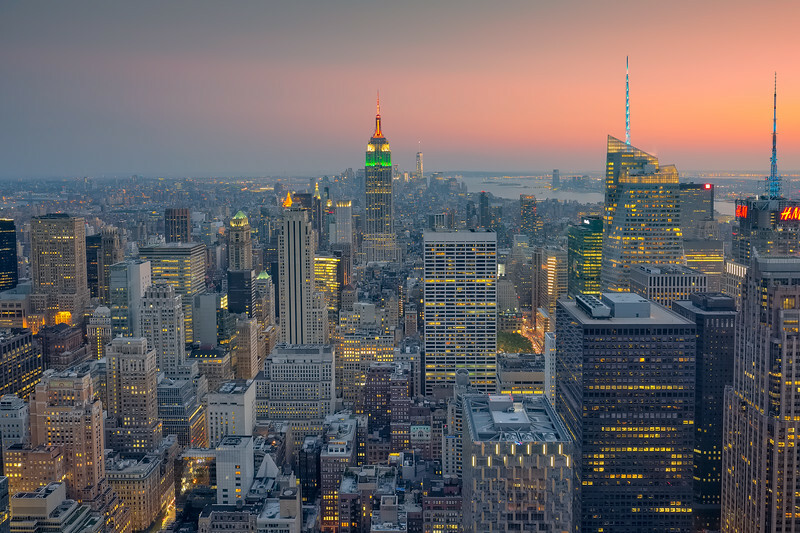 The rest of my New York images can be checked out here. 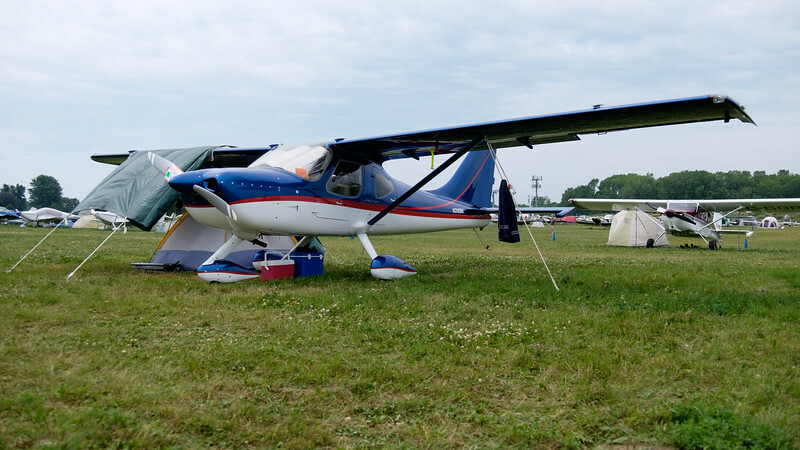 Ask any pilot or Aviation geek what the name, "OSHKOSH" brings to mind and the large majority will be able to refer to the yearly event organised by EAA (Experimental Aircraft Association), the last week of July at the Wittman airport in Wisconsin, USA. 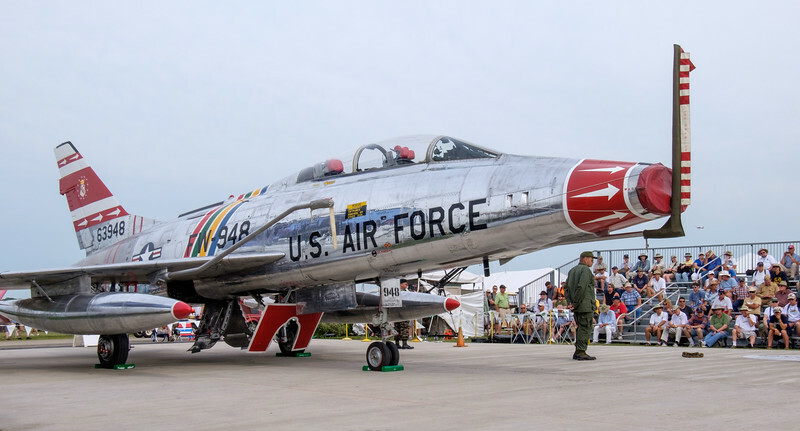 The event which is held over 7 days (Monday to Sunday), is often referred to as "The World's Greatest Aviation Celebration" and that is clearly not an understatement! This year has been a particular busy year with more than 10.000 aircraft arriving at the Wittman and surrounding airports during the course of the week. 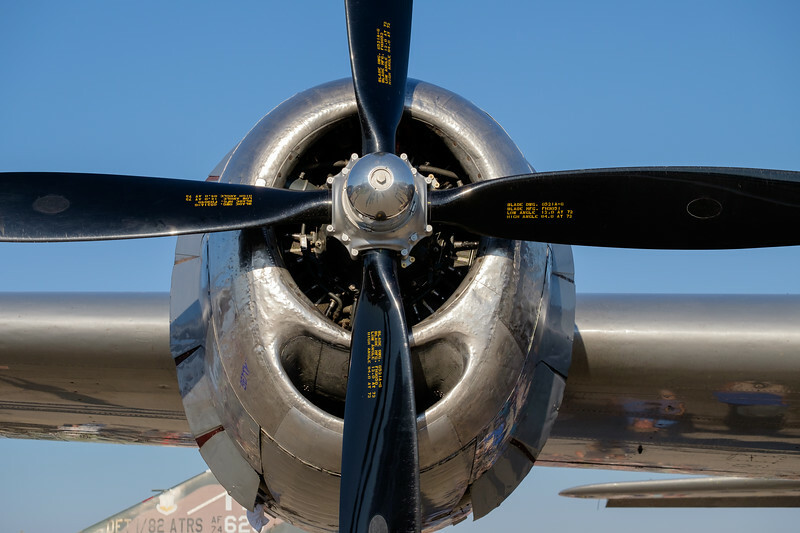 In total more than 550.000 people attended the 2015 edition of the show, which makes it more than likely the "World's Largest Aviation event". 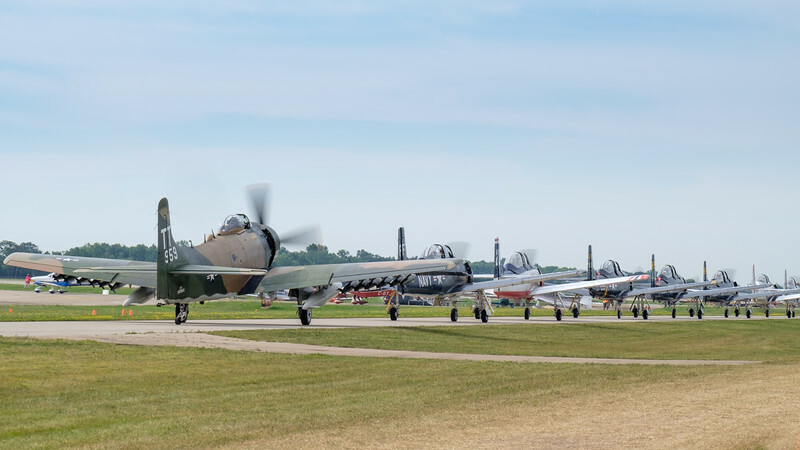 I've tried before, but it is close to impossible to describe to somebody who has never been to Oshkosh, how large the event really is. There is over 5 km of walkable flight-line, along the three runways and that doesn't even include the exhibition space on the sides... Luckily enough there is an excellent "tram" service (tractors pulling carriages) connecting most places. Due to work commitments in Dubai, I was unfortunately only able to attend the last three days of this years show; Friday to Sunday. If one has the option of picking the days, I would recommend going earlier in the week, if possible Monday to Thursday or even up to the Friday night. 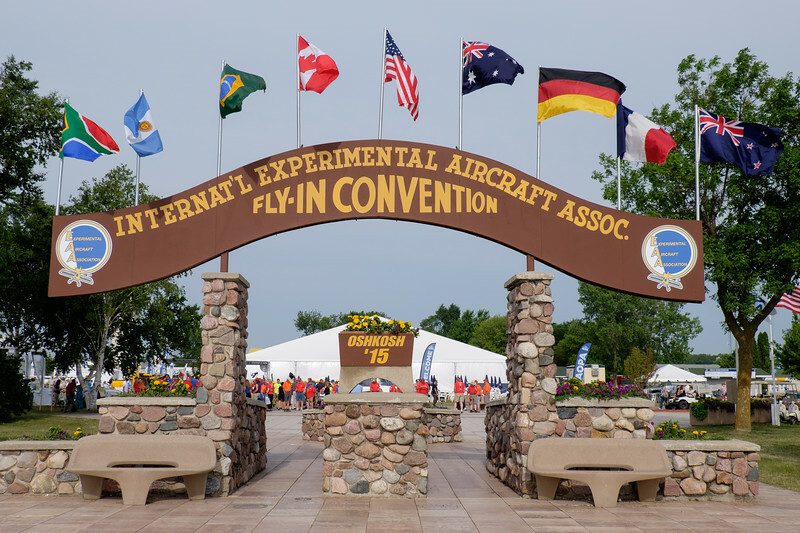 The Airventure grounds are subdivided in several areas; the main ones being Warbirds, Vintage, Homebuilts and the central area, which this year was called, Boeing Plaza. 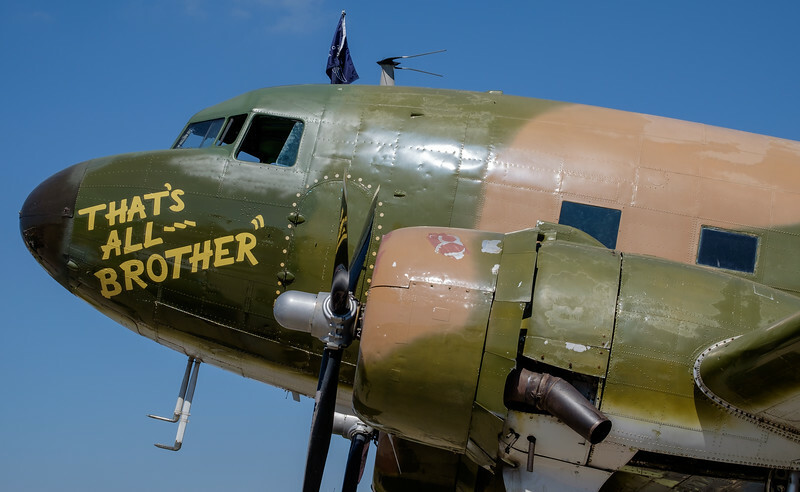 Likely the place where I spend most of my time over the three days; warbirds has a large variety of aircraft from small L-birds through World War II fighters, bombers, transport aircraft and trainers, all the way through the classic jets of the Korea and Vietnam era. 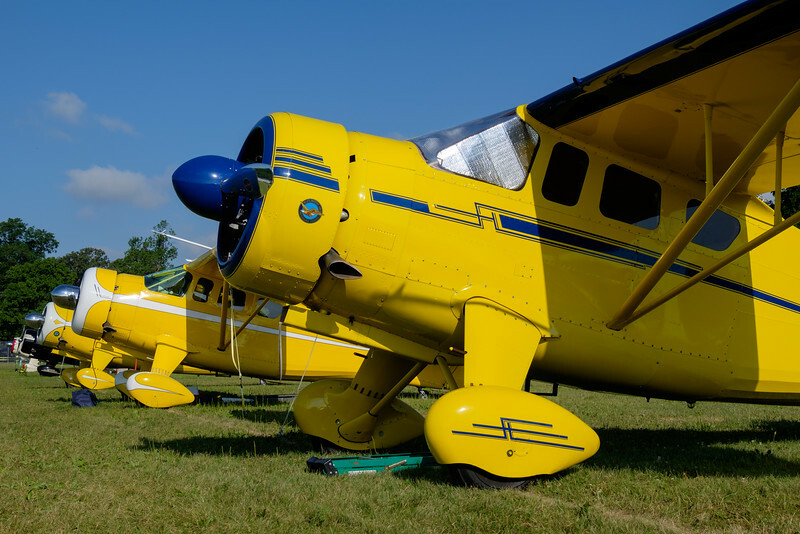 Being the co-owner of a vintage aircraft myself, it is a very close second choice... Over the week, just short of 1000 vintage birds landed at Wittman airport. 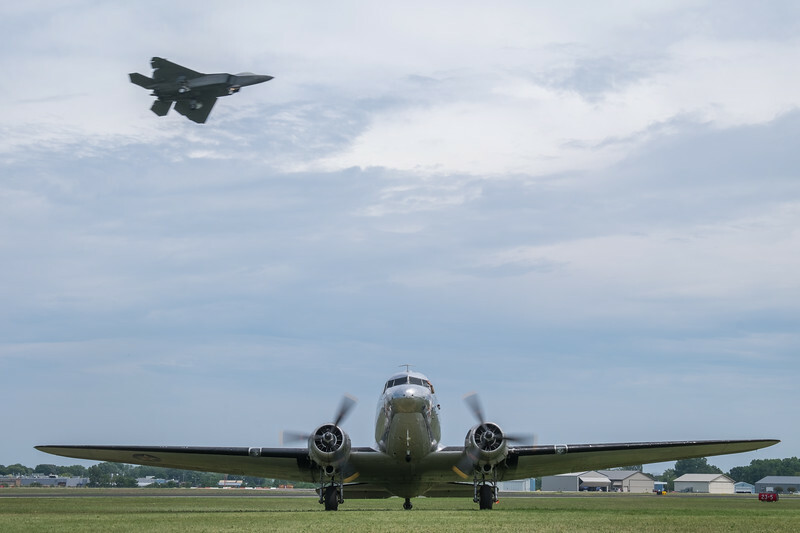 Sub-divided in three categories: Antiques (1903-1945), Classics (1945-1955), Contemporaries (1956-1970); there was plenty of opportunity for interesting aviation photography. 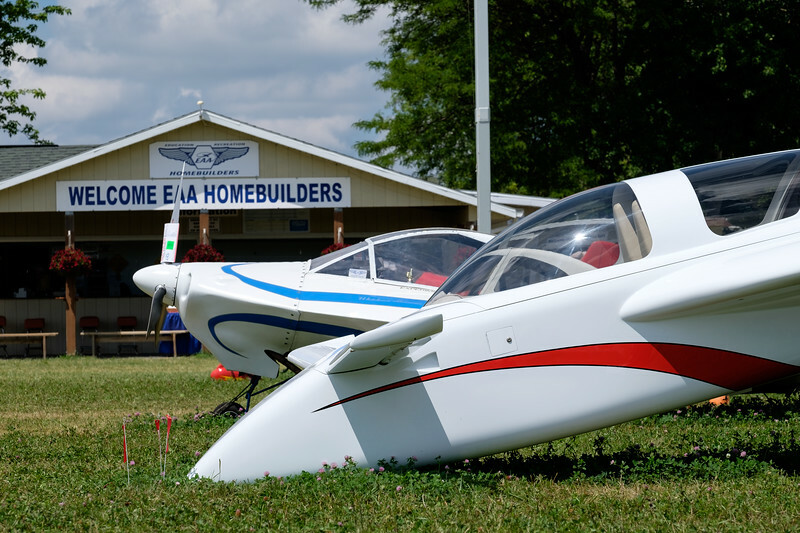 EAA (Experimental Aircraft Association), which organises Airventure every year, was found in 1953 around the homebuilt aircraft community. 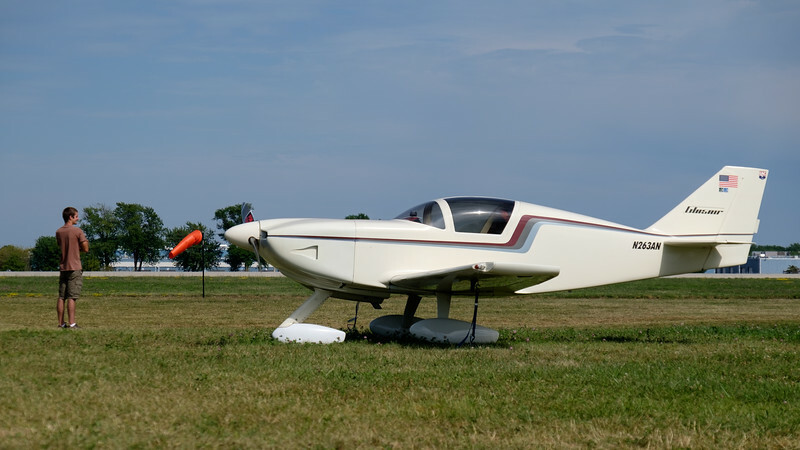 Today it has somewhat outgrown its origin and now includes most aspects of aviation and aeronautics. 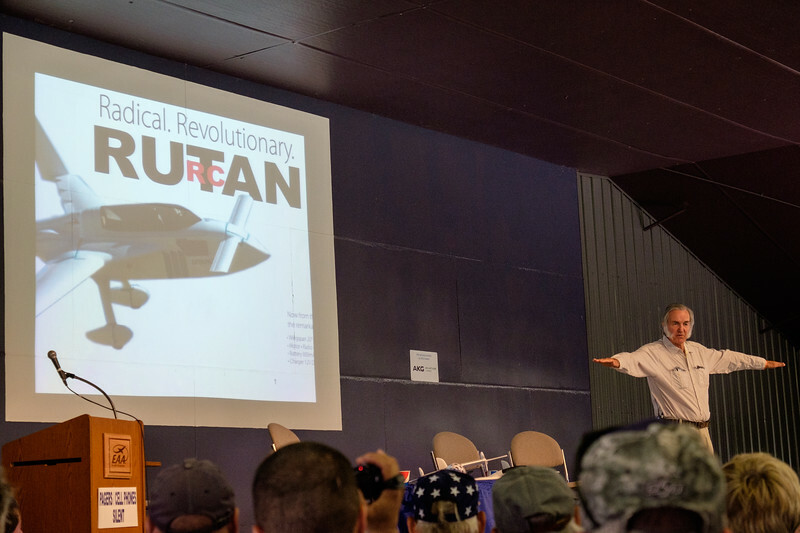 Its initial roots can however still be very much felt throughout the grounds and this years presence of Burt Rutan, the father of the Canard homebuilts such as the VariEze and Long-Ez, made it even more special! In show-center one finds, "Boeing plaza"; the place where some of the top aircraft of the event are showcased. I often find it somewhat too busy and only go there when the largest crowds are not there; i.e. early morning or around sunset. 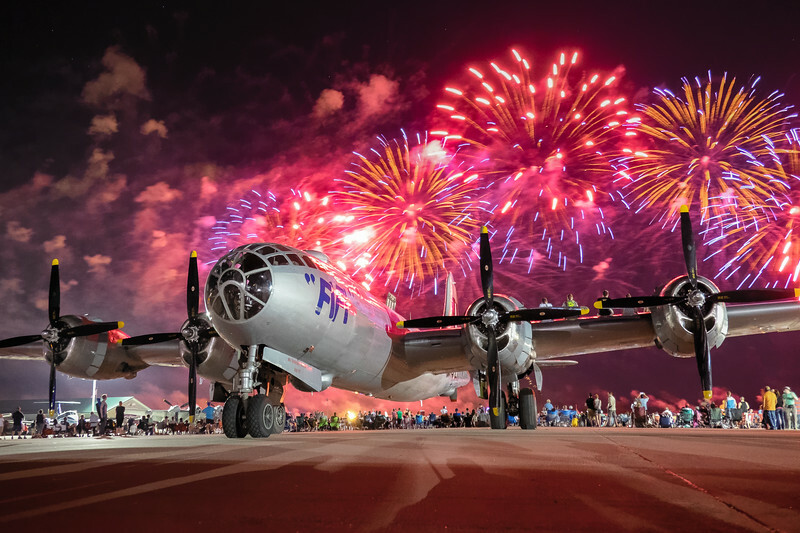 The image that was featured for my Pic(k) of the week 31: Firework over the B-29, was shot at Boeing plaza as well. 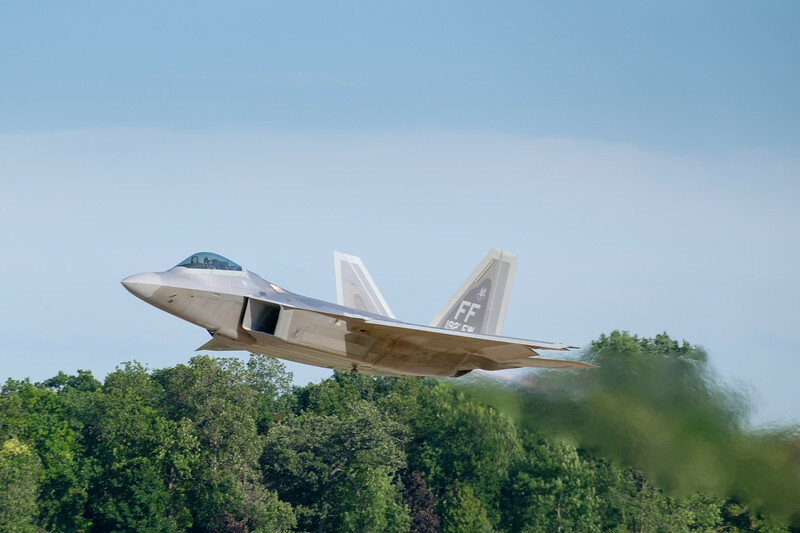 Every afternoon a full airshow is held with a program that varies somewhat day to day. 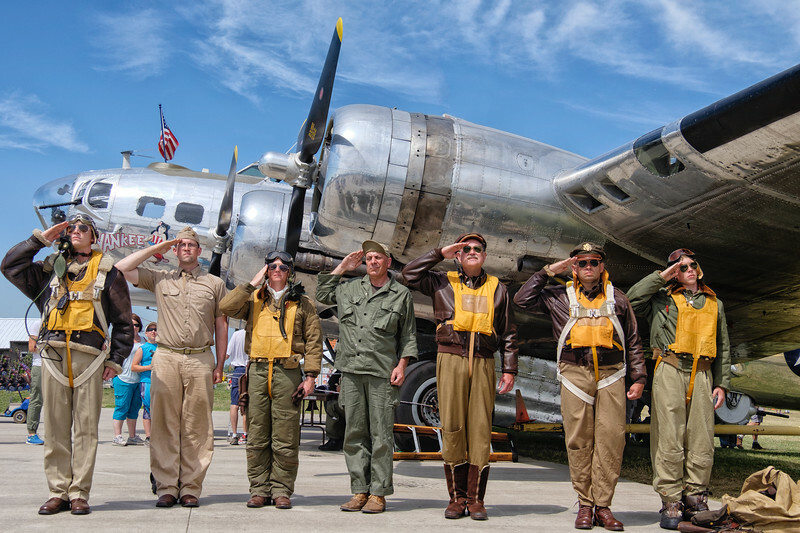 As there are so many warbirds at Airventure, themed displays are being flown throughout the week. Unfortunately I missed the Lancaster and Mosquito flying during the Battle of Britain presentation on Thursday, but I did enjoy photographing Saturdays "Battle of the Pacific" themed show. 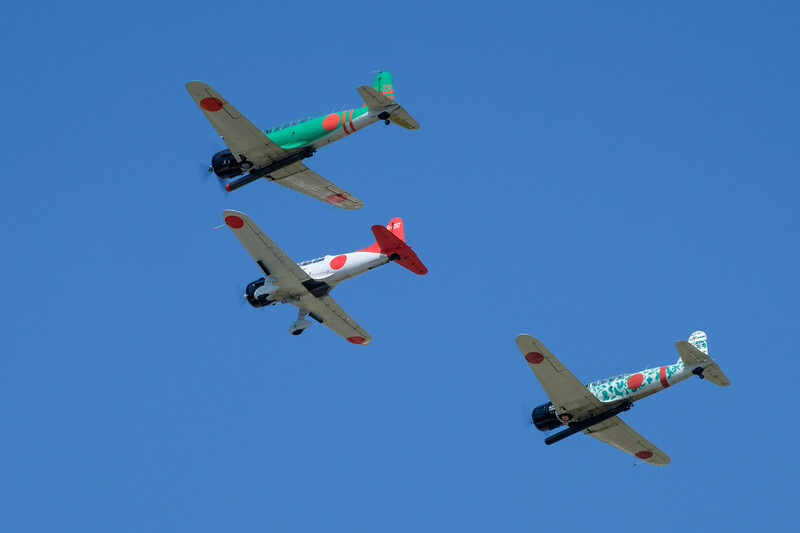 Twice a week (WED/SAT) there is a twilight and night airshow. Although difficult the photograph, it is has a very different vibe and is definitely worth it! 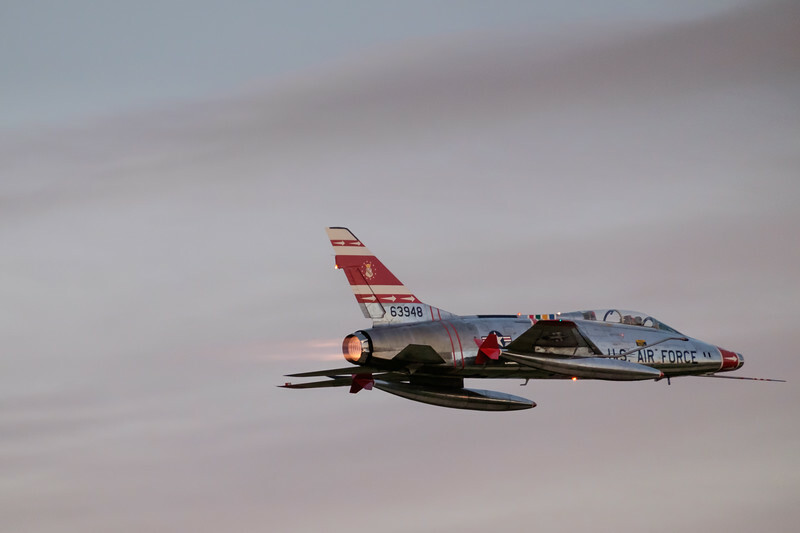 F-100 Super Sabre during the twilight show! 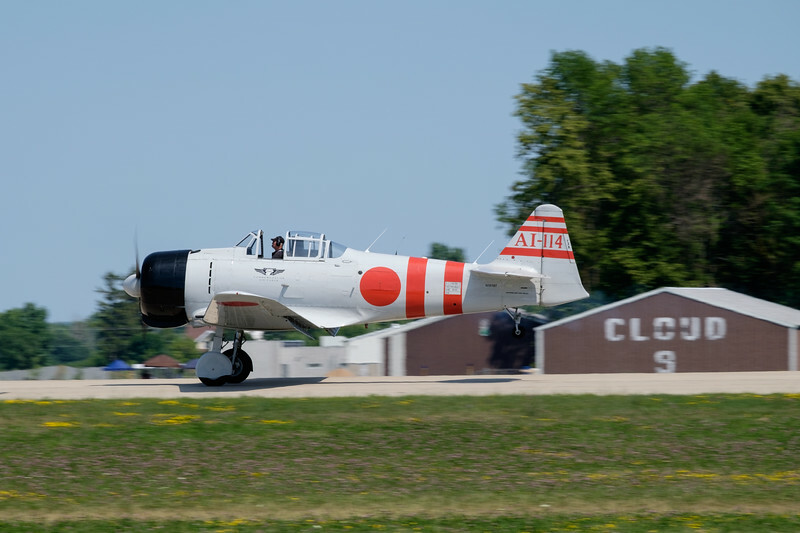 Airventure is great for aviation photography. 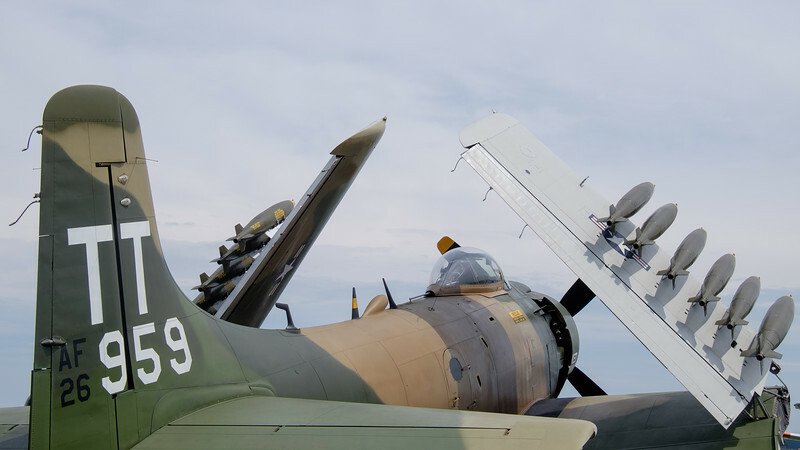 There are hardly any barriers around aircraft on display, which allows one to really get close and personal. 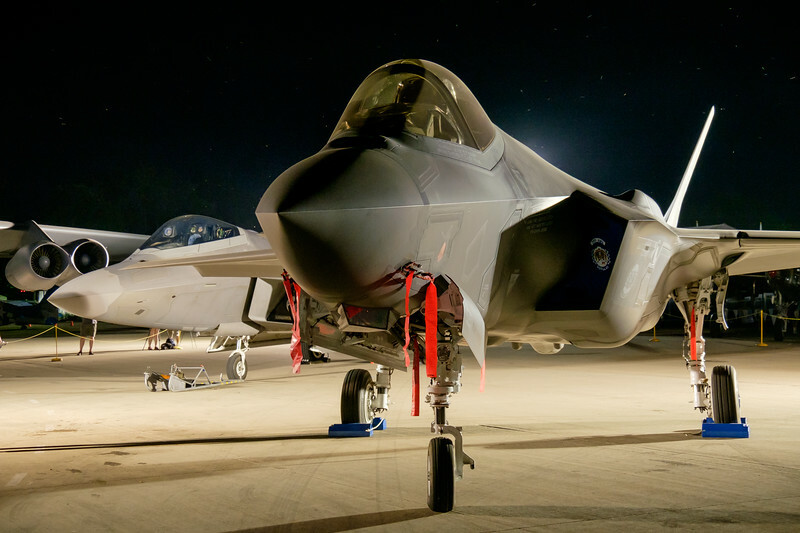 Pretty much the only exceptions were the high tech military aircraft like the F-22 and F-35. It wasn't rare for me the spend anything from 12 to 14 hours per day at the show and given the hot and humid weather, I strongly recommend travelling light. For the majority of the time, I took a small backpack with my Fujifilm X-T1, XF18-135 and XF55-200 lenses. Occasionally I also shot some images with the XF50-140. This blogpost is by now means all inclusive! 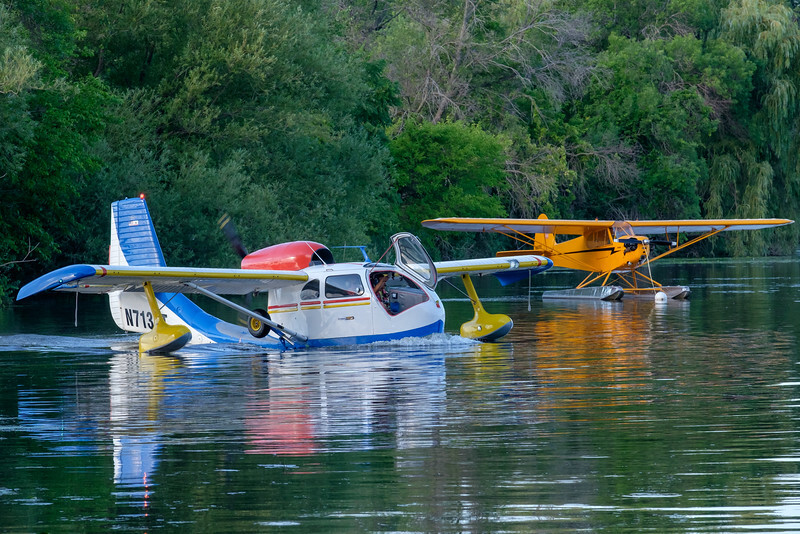 I didn't even mention the amazing Ultralight flying that happens on the grass-strip, the great EAA museum on the field, the many exhibition hangars packed with Aviation goodies; or the seaplane base where one can escape the busy crowds. 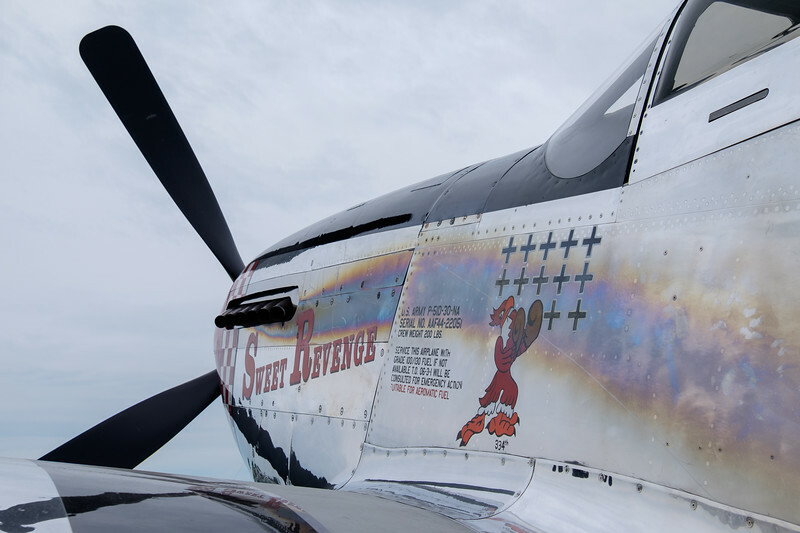 Airventure is a must see (at least once!) for every pilot and aviation enthusiast! I personally can't attend the show every year, but I will make a serious effort to go every three to five years. For the ones interested, the dates for the 2016 edition are: July 25th till 31st. If you plan on attending, now is a good time to start booking your accommodation! So far, I've always stayed with a local family, but one day I would like to do the camping thing as every one keeps on saying it is even better! Arriving by air would make it even more exciting... Who knows, maybe one day! 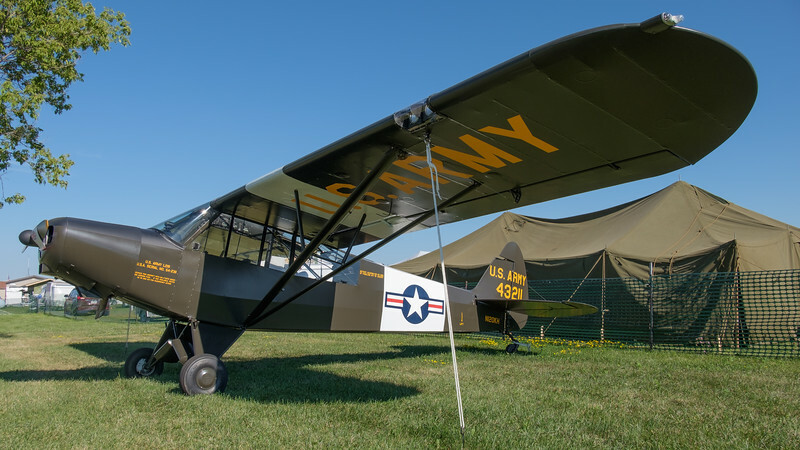 All of my AIRVENTURE 2015 images can be found here. 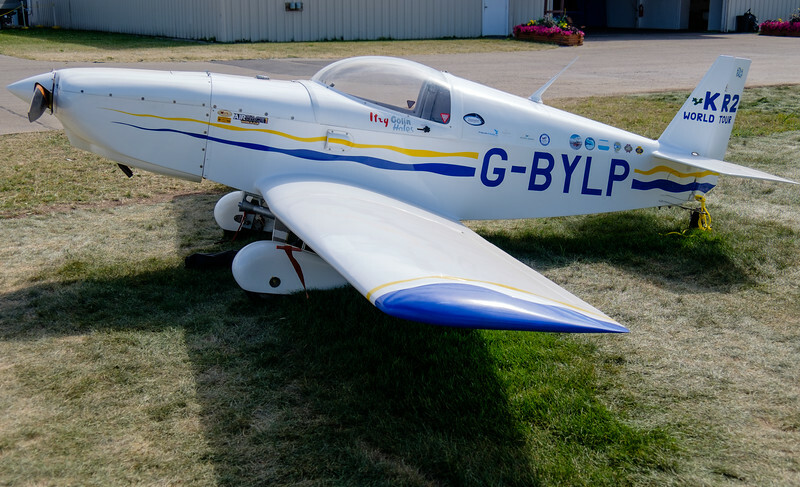 Those of you following me on social media, probably know I had a blast over the last two weeks when it comes to attending top-class Aviation events; it started with Airventure 2015, The Worlds Greatest Aviation celebration in Oshkosh,(WI,USA), followed by the Wings and Wheels show at Old Warden, (UK) and finally fly-ins like the "Zeeuwse Luchtvaartdagen" at Midden-Zeeland, (Netherlands) and the Tail-wheel meeting at Overboelare, (Belgium). I'm still in the process of editing the backlog of images which will be followed by a few Aviation Photography blogposts. One image that stood out amongst the Old Warden bunch, was the one below of two extremely rare birds that over the years have written plenty of aviation history. The beautiful red aircraft on the left is one of only five built; a 1934 de Havilland DH.88 Comet. The vintage twin broke several records during the Golden age of long distance air racing: starting with a Mildenhall (UK) to Melbourne (Australia) record in 1934; London to Cape Town (1937) in 45 hrs and a record breaking London to New Zealand time of just over 104 hrs. 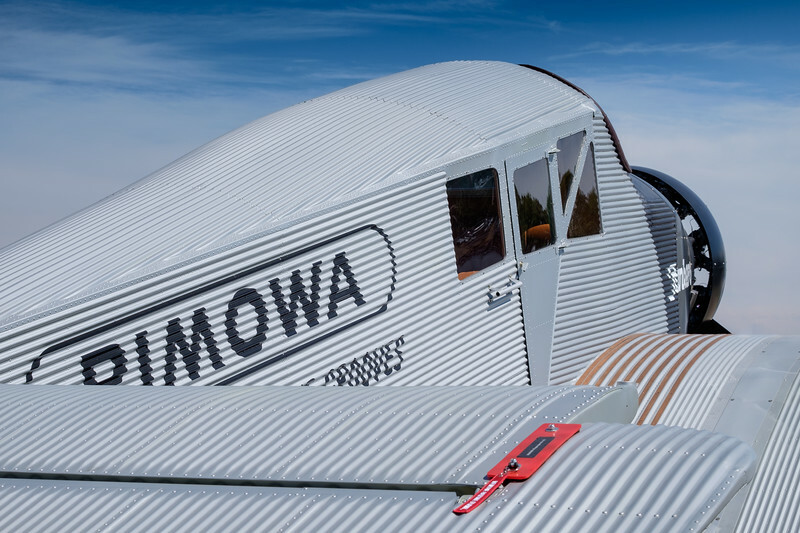 Being over 80 years old, she took to the skies again last year, after a extensive restoration by the fine guys (and girls) of the Shuttleworth Collection in Old Warden. 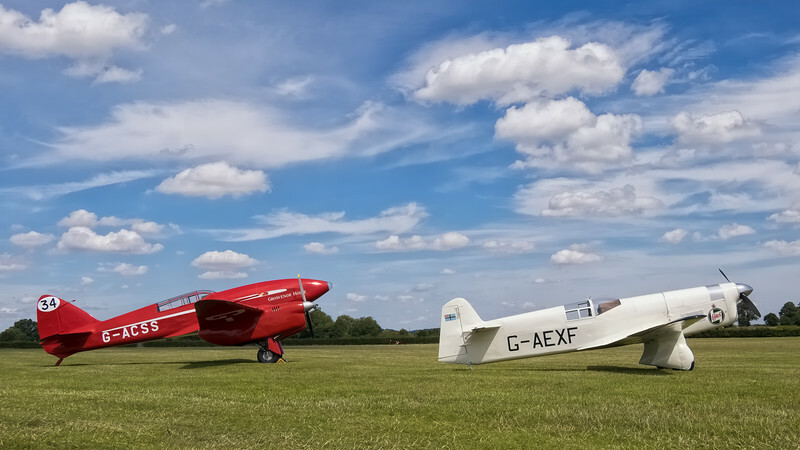 The white single-engine aircraft on the right is equally important in British Aviation history; in the 1930's it was the first civil aircraft to fly faster than 200mph. 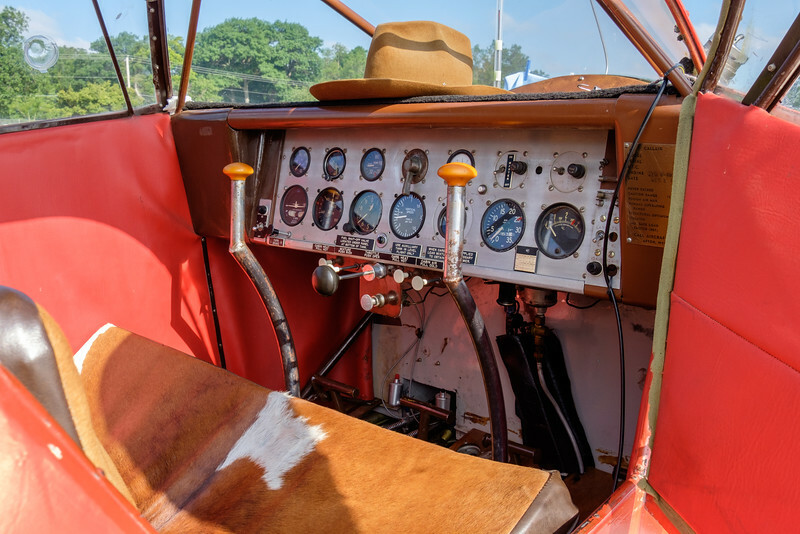 This specific Percival Mew Gull, broke the England to Cape Town record for light single engine aircraft, flying to the Southern tip of South-Africa in less than 40hrs in 1939. A record which stood for more than 70 years! 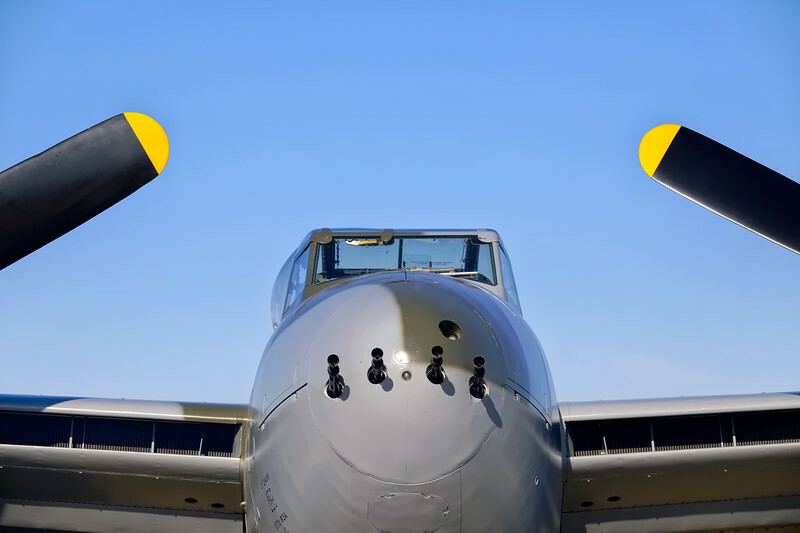 During the war, the aircraft was hidden in a French barn and was eventually flown again in the early fifties. Being a tricky aircraft to fly, she has been through multiple landing accidents over the years; each time needing a major rebuilt. More of my Aviation Portfolio images can be found here. The last few weeks have been all about Aviation Photography; combining my two passions into one! 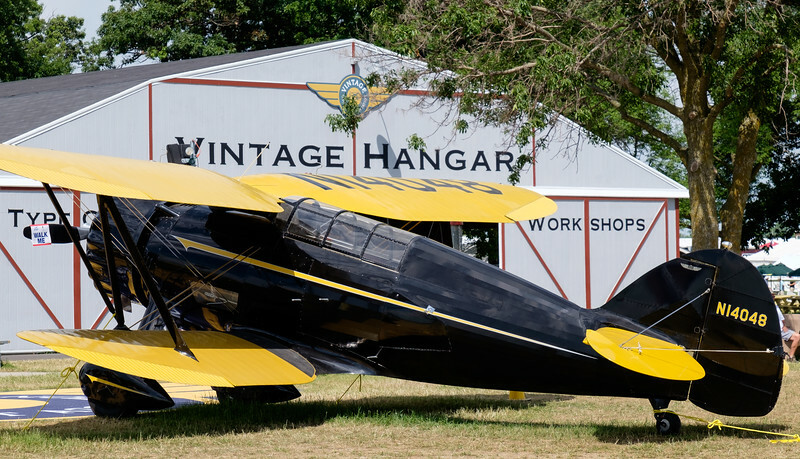 While I'm still processing some of the images shot at Airventure 2015 (Oshkosh, WI, USA), I've attended another bucket-list airshow; "The Wings and Wheels show" organised by the Shuttleworth Collection, in Old Warden close to Bedford, UK. 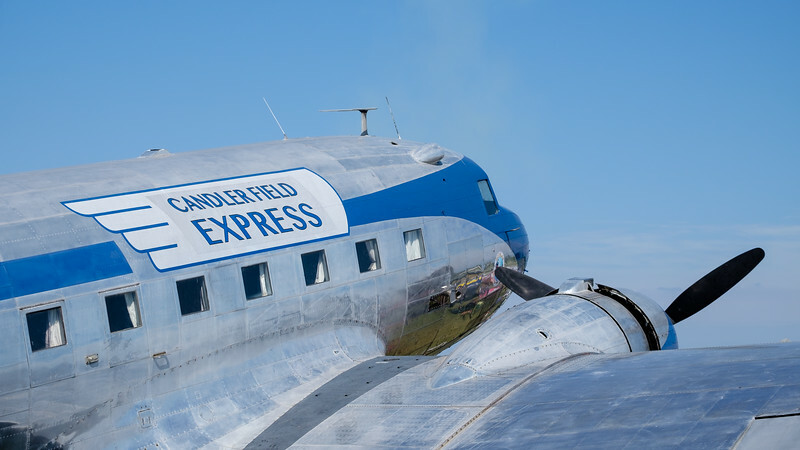 More about this vintage aircraft event in a separate blogpost towards the middle of August. 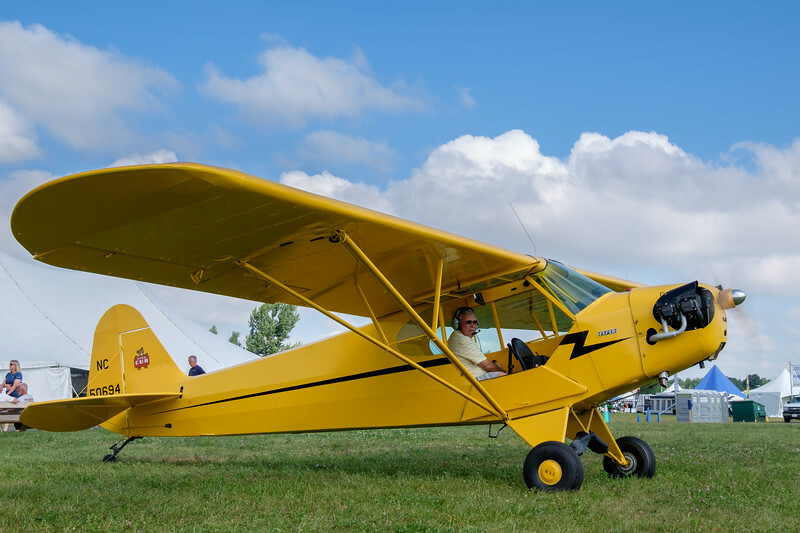 We flew our 1954 Piper Super Cub down there for the event and came home with another batch of great images that will be processed over the next few weeks. Meanwhile, I wanted to share an aerial image I shot, just East of London on my return flight from Old Warden. 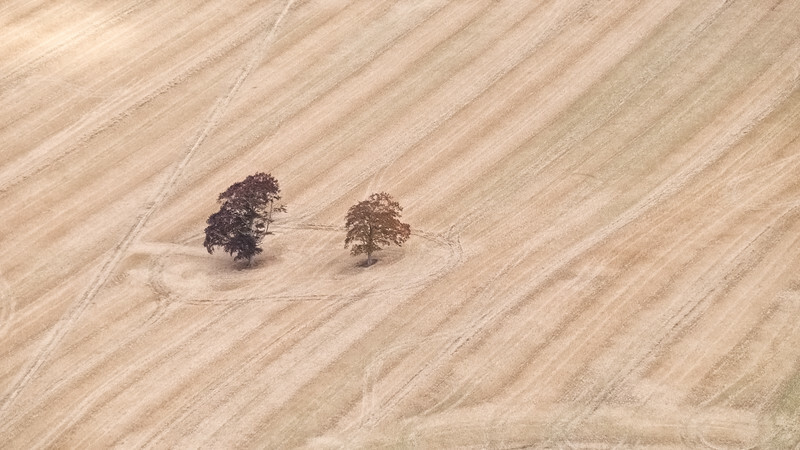 The image of two lonely trees in a harvested field was shot through the plexiglass of the vintage airplane. As we had a lot of travel gear (tens, sleeping bags, etc...) in the aircraft, it wasn't 100% save to open the side door; something we normally do for aerial photography. I was particularly attracted to the patterns in the field; something that always plays a big role in my aerial photography. Even though I've tested and reviewed the 18-135 lens (click here for the review), when it was initially launched, I never ended up buying a copy of this Weather Resistant lens. 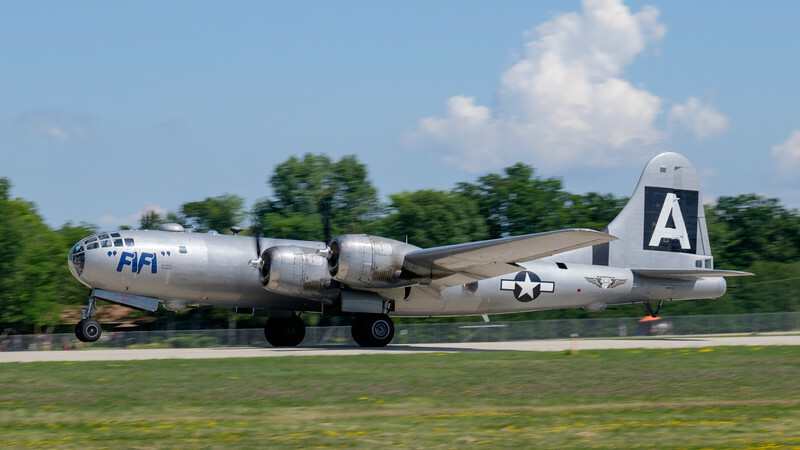 Now that I've taken it to a few new Aviation events, it pretty much has not left my X-T1 camera body. I'll be doing some more aerial photography with the 18-135 lens, as of tomorrow, when we will fly the Piper Cub down to the Mid-Western part of France for an aerial photography tour of the "Castles of the river Loire". Till then, fly safe & click that shutter!